She was very green, intimidated & tired in the stretch... but she had the lead for a little bit anyway. Better luck next time! 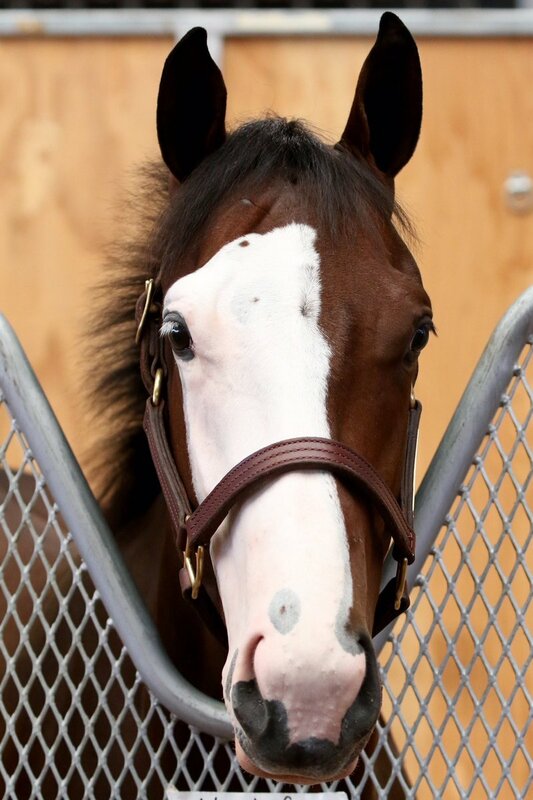 Meet Face It, 2015 filly by Tapit - Catboat by Tale of the Cat. Catboat is the dam of It's Tricky. Face It had her first timed work at Saratoga on Sunday. The white eyelashes are quite distinctive. 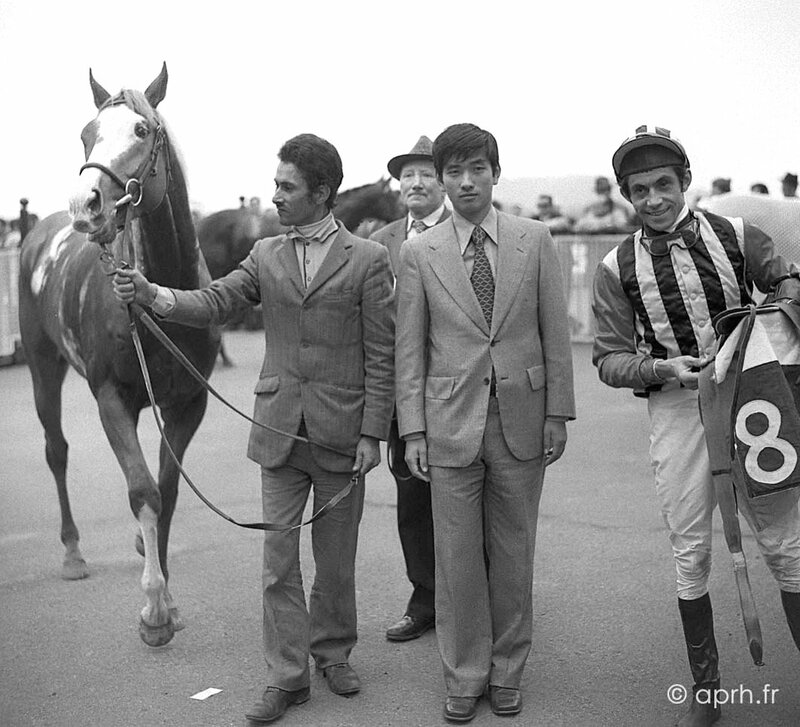 NORTHERN TASTE and Teruya Yoshida - Prix Thomas Bryon 1973 - Saint-Cloud France. 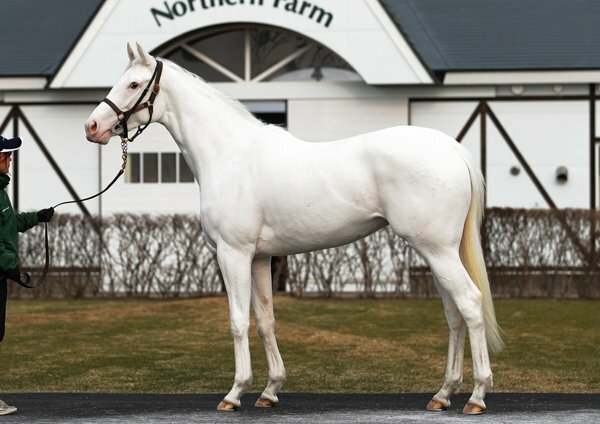 It was not Zenya but his son Teruya who discovered the talent of Northern Taste(CAN) at the Saratoga yearling sale in 1972. I recall Zenya and Teruya Yoshida saying multiple times in interviews that Shadai wouldn't be what it is without Northern Taste. The money from his stud fees allowed them to purchase Sunday Silence, who then allowed them to spend over $100,000,000 in 10 years on broodmares. Northport wrote: I recall Zenya and Teruya Yoshida saying multiple times in interviews that Shadai wouldn't be what it is without Northern Taste. The money from his stud fees allowed them to purchase Sunday Silence, who then allowed them to spend over $100,000,000 in 10 years on broodmares. Plus Sunday Silence nicked really well with Northern Taste mares, getting 12% stakes winners. Godolphin's Face It, a 1/2 to It's Tricky, deserves a mention. How striking. 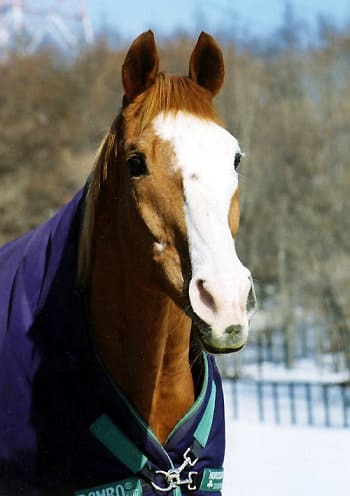 Orewa Matteruze, I remember, had the stockings that were unusual for Sunday Silence progeny but I had forgotten about his gulastra plume. 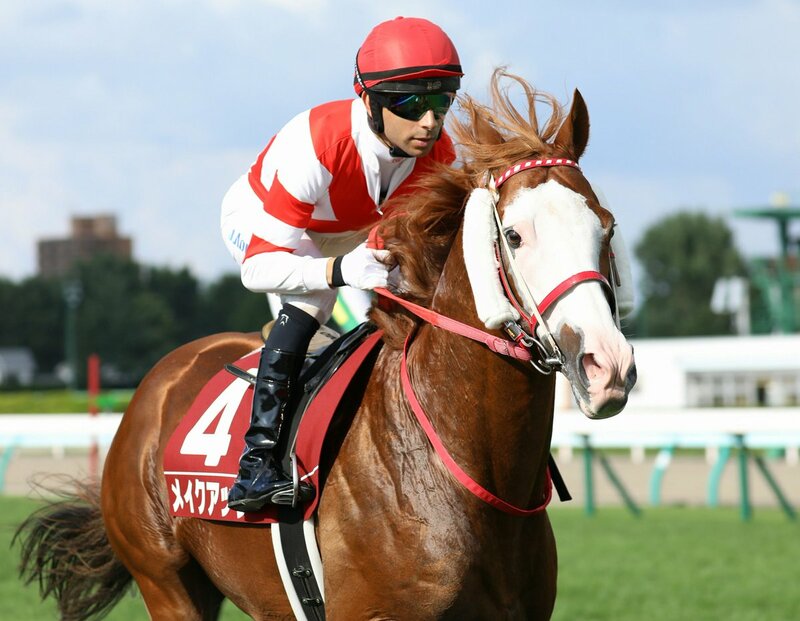 2yo filly HAU NANI (Lord Kanaloa x Yukichan) due to debut on September 3 over 1200m Dirt. 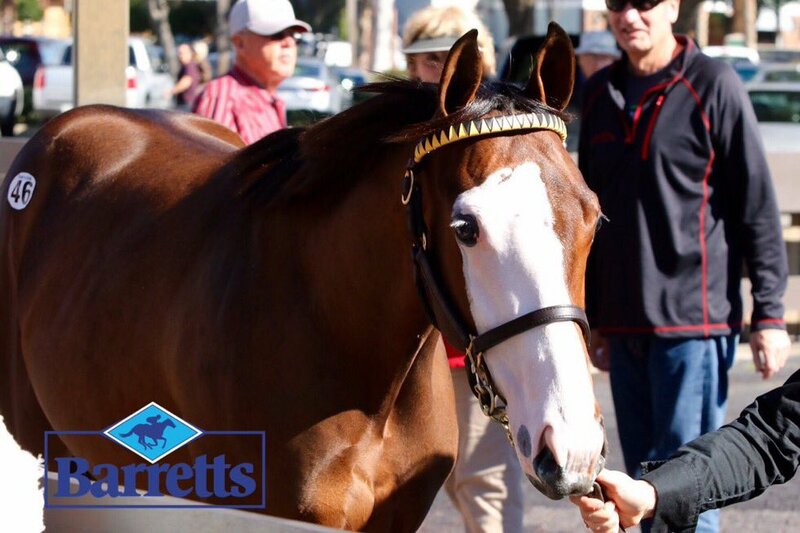 That's a very good-looking filly...no matter what her color is. 2nd at Saratoga R11 today. 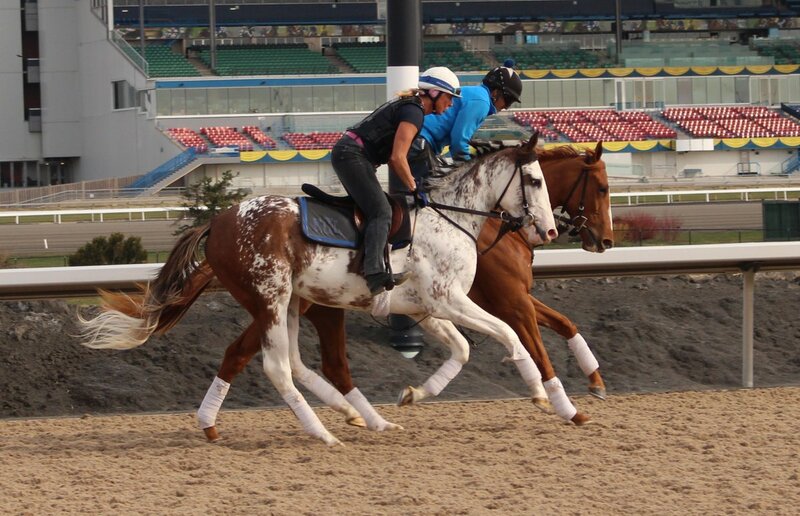 BaroqueAgain1 wrote: That's a very good-looking filly...no matter what her color is. Agreed. She's lovely with plenty of bone. Hau Nani (JPN) was third in her first race, won by Midshipman colt Seiun Spy (JPN). Don't think she would've caught the other two, but she also did run somewhat greenly down the stretch. A very impressive stretch duel between the top pair! lurkey mclurker wrote: Hau Nani (JPN) was third in her first race, won by Midshipman colt Seiun Spy (JPN). Silvery Moon (GER) has been retired. They had a retirement ceremony for him at Cologne.